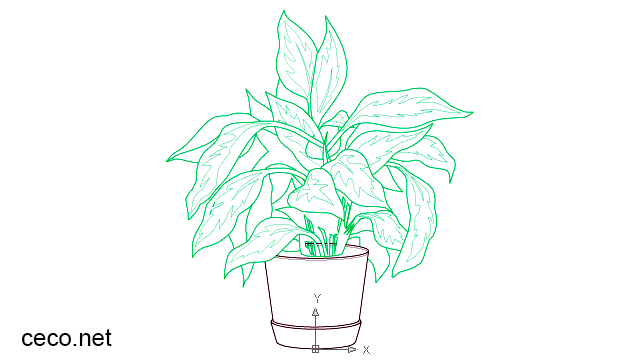 Tags for this category : cad, autocad, drawings, blocks, templates, dwg, dxf, plant, pot, flower, flowerpot, garden, home, indoor, design, set, green, bloom, blossom, blossoming, botanical, botany, flora, floral, foliage, gardening, house, houseplant, leaf, natural, nature, potted, stem, landscaping, vegetal, plants, wood, bushes, shrubs, trees, grass, outdoor, area, backyard, gardener, landscape, lawn, lush, park, perennial, tree, vegetable, yard . 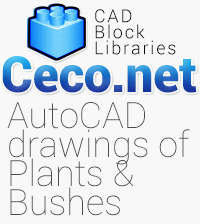 These CAD blocks, are made for free use by all users of Autocad for Mac, Autocad for Windows and Autocad Mobile app, especially for Autocad students, draftsmen, architects, engineers, builders, designers, illustrators, and everyone who works their drawings in dwg and dxf formats. These files were saved in " .dwg AutoCAD 2000 file format ", in order to obtain compatibility with all recent versions of AutoCAD, like AutoCAD 2000, 2000i, 2002, 2004, 2005, 2006, 2007, 2008, 2009, 2010, 2011, 2012, 2013, 2014, 2015, 2016, 2017, Autocad 2018 and Autocad 2019. As well as Autocad 360, Autosketch, Autocad Mechanical, Autodesk Inventor, Autocad for Mac and Autocad Mobile app. This Computer Aided Design data file format is supported for CAD programs like Adobe Illustrator, Freecad, ArchiCAD, MiniCAD, ArcMap, Cadwork, Corel Draw, Google SketchUp, IntelliCAD, MicroStation, Rhinoceros 3D, Solid Edge, Solidworks, LibreCAD in Linux systems, BricsCAD, VectorWorks, Sketch Up PRO, Adobe Acrobat, Inventor, pro engineer, zwcad, Solid Edge, Catia, Turbocad etc.